Dr. Zoń is considered one of the best breast augmentation surgeons. He has successfully handled scores of unsatisfactory results providing relief for his many grateful patients. His advice to women considering implant surgery is to be very selective in choosing their surgeon to avoid future problems. 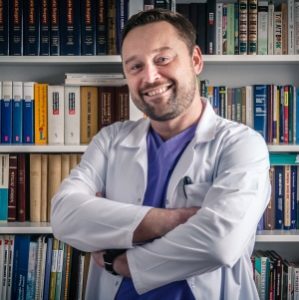 Dr. Zoń is a board-certified plastic surgeon in Warsaw, Poland. Member of Polish Society of Plastic, Reconstructive and Aesthetic Surgery. As one of the most common cosmetic surgery procedures, breast augmentation separates the wheat from the chaff. That is to say, it is a primary index of a plastic surgeon’s skill. Breast surgeons are a dime a dozen. Proficient, intuitive breast surgeons are one in a million, and this is borne out by the astronomical revision rate of breast enhancement procedures. 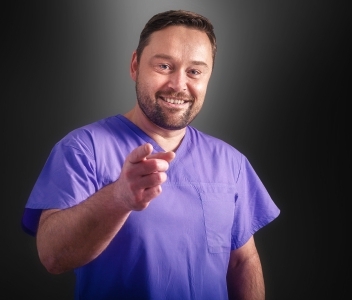 Dr. Zoń is selective in his acceptance of surgical candidates. He believes that providing among the finest breast implants available depends upon establishing mutual objectives between doctor and patient. This relationship results in very high patient satisfaction since the goals are well established prior to surgery. If he does not feel he can help a patient obtain the aesthetic goal they envision, he will recommend a realistic alternative path. Following your procedure with Dr. Zoń, you can expect to possess beautiful breasts that are larger, fuller and more shapely. And because your breasts will look and feel exceptionally natural, you’ll also love the way they fit and move with your body. Size is perhaps the top reason women seek breast implants. In these cases, Dr. Zoń will artfully enhance the size of your bosom to create the figure you desire, without compromising a natural appearance. In addition to requesting larger breasts, many women are also interested in obtaining rounder, fuller and more shapely breasts. In these cases, Dr. Zoń will meticulously sculpt the breasts to achieve the precise look you desire, with or without adding a cup size. Breast asymmetry is a common complaint among women of all ages. If your breasts are asymmetrical or malformed, a breast augmentation will create two perfectly balanced breasts, restoring a harmonious, natural look. Following breast cancer surgery or a preventative mastectomy (the removal of one or both breasts), it is very common for women to desire breast augmentation during their reconstruction procedures. In these cases, Dr. Zoń enhance your breasts to restore a full, beautiful and natural look that delivers an enormous boost of confidence. Although substantial weight loss is a welcomed change. The impact it has on them can be alarming. Weight loss can significantly alter the size and shape, often creating a deflated and misshapen appearance. When this occurs he will artfully create perkier, younger-looking bosom that better suit your beautiful new figure. Pregnancy can certainly take a toll on a woman’s breasts, causing them to deflate and lose a great deal of volume. Often performed as part of a Mommy Makeover, this procedure will restore your breasts to their pre-pregnancy state – enhancing them, shaping them and adding the perfect amount of volume to achieve the most natural result possible.